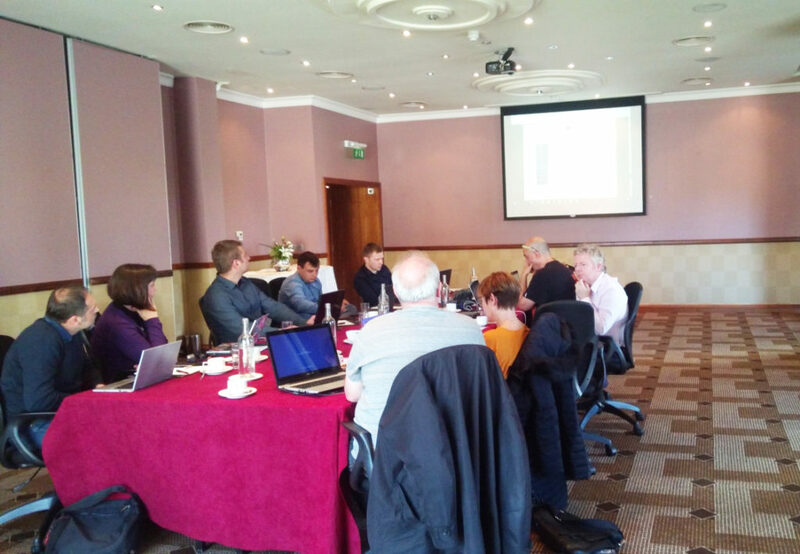 The transnational training event in the framework of the project COMTRAIN – Computer Service Training for Personal and Professional Development took place in Trim (Ireland) on 1st-6th October 2017. The training has been hosted by Future in Perspective, Irish partner in the project. The training has been organized in Trim Castle Hotel. It was attended by 12 participants representing 6 partners of the project (INNEO, CK Edukator, Lancaster&Morecambe College, Siglo22, BEC Druzstvo and Future in Perspective Ltd). Each partner delegated 2 participants for the training event. The training event has been conducted according to the plan developed before the event and it lasted 6 days. The aim of the training event has been to acknowledge the trainers with the training programme developed and prepare them for conducting computer service training courses on local level. The participants have presented the content developed for the training course. Project coordinator has reviewed the training tools and provided instructions for conducting effective training using the training program developed. During the transnational training event each participant gained useful knowledge and experience, which will be used for conducting training courses on local level. Partners expressed high level of understanding of the training programme. They also agreed that the programme containing not only technical knowledge related to computer service, but also practical content such as writing interesting CV and cover letter will be very useful for the participants of training on local level. It has been underlined that the aim of the training program is to use computer service training for personal and professional development.